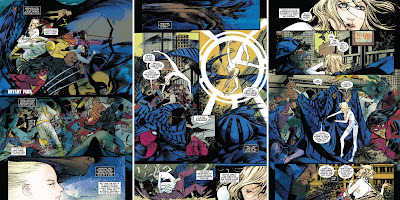 Just when I'm starting to seriously crave a return to the days where you could barely go a month without seeing the likes of Nova, Puma, Cloak and Dagger or Daredevil swing into the pages of Spider-Man, his current story-arc Spider-Island, spins a spotlight round onto his various amazing friends - pulling them even tighter into his web than ever. 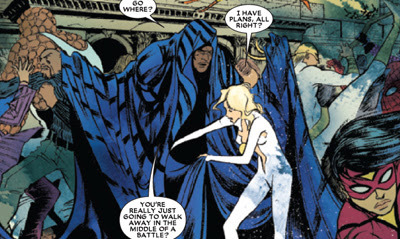 Cloak and Dagger for their part get a three issue mini which kicks off this week, written by Nick Spencer and drawn in fine style by Emma Rios. Struggling to get back on the same wave length with each other, do you think C&D are ready to help in the quarantine of Manhattan? 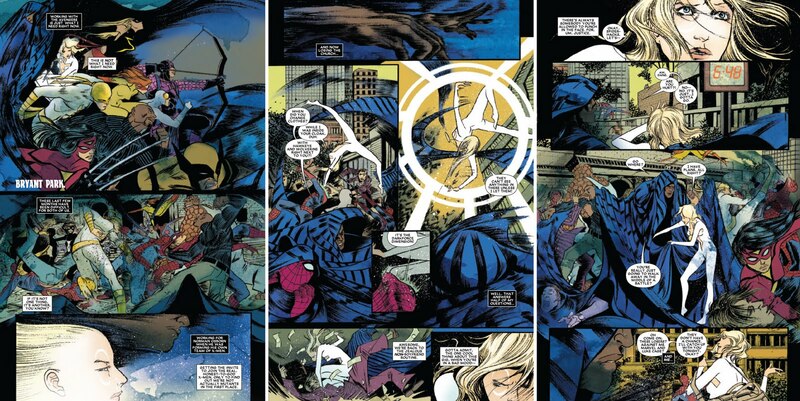 And more importantly can they drop Iron Fist a couple of blocks? this looks pretty good based on these panels. a great cover too! Cloak & Dagger along with ROM Spaceknight, The Micronaunts, Jack of Hearts and Sabra are all Bill Mantlo creations. oh how about that Dan i just saw your comment on the ROM blog. i guess i should throw in the Dire Wraiths too as far as Bill Mantlo creations go. as for the heavy hitters throw down you were talking about how about both Red Hulk and Gladiator vs. Mr. Bean? but on a somewhat more serious note on that cover art it certainly appears that The Annihilators are bringing more alpha plus power level fighters to the table. Thanks for the comments Dave! 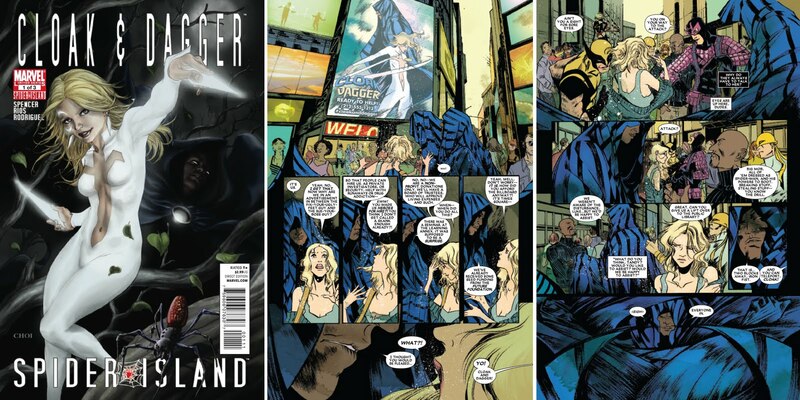 Cloak and Dagger I've liked since I saw a full page ad of theirs back in Fantastic Four. As for Jack of Hearts I wonder how long it will be before someone brings him back to life?